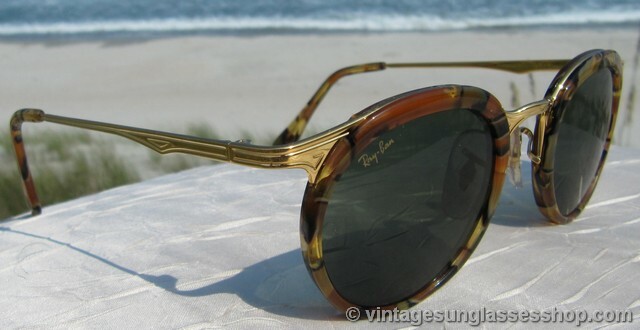 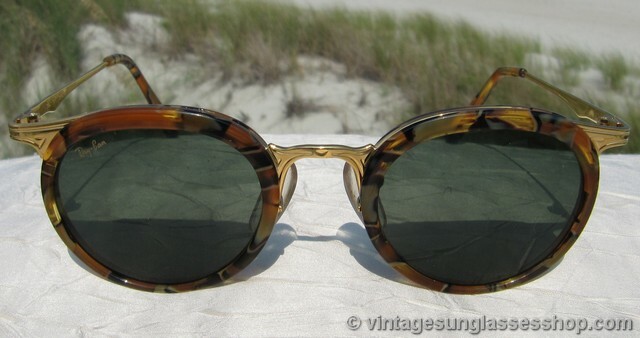 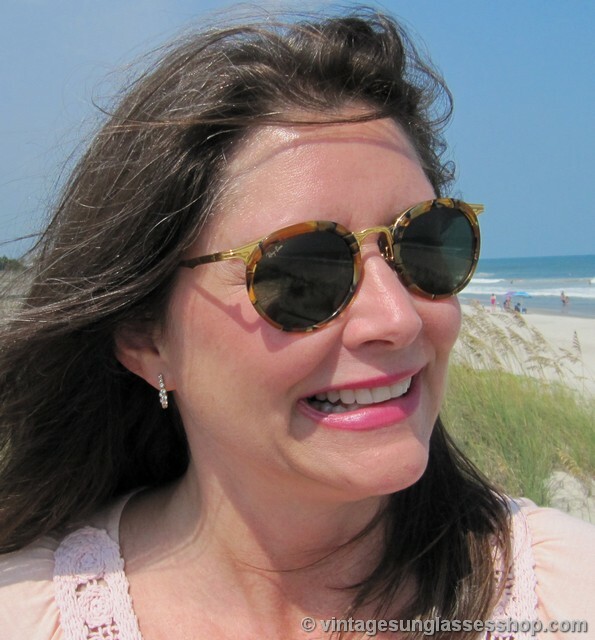 Beautiful vintage B&L Ray-Ban W1986 Western Round sunglasses feature tortoise shell ear stems, an Arista 24k gold plated frame, and Bausch & Lomb G-15 lenses. 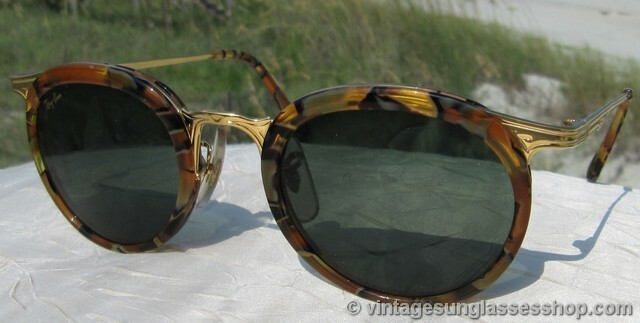 There are so many details to point out on the W1986 - multi-colored tortoise shell surrounding the lenses and of graduated thickness (thicker on the top, tapering on the bottom), matching multi-colored tortoise ear pads, and precise horizontal etching in the Arista frame at the temples and down each ear stem. 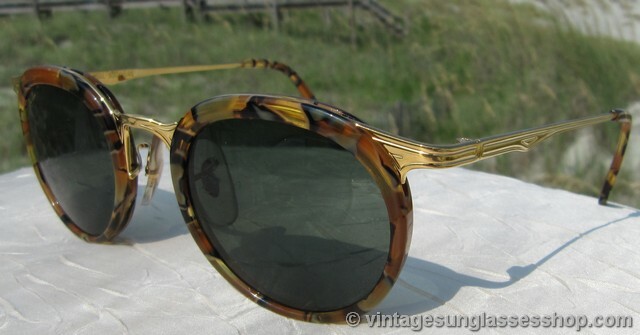 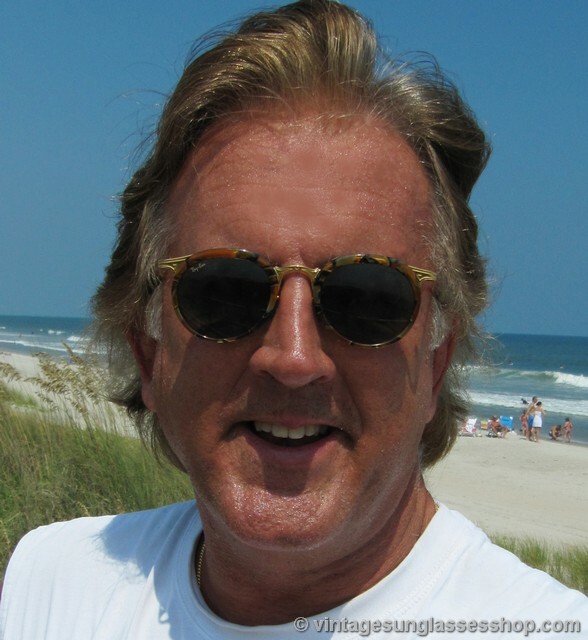 Put it all together with Bausch & Lomb's famous G-15 anti-glare lenses and it's one of the highest quality, most eye catching examples of vintage sunglasses. 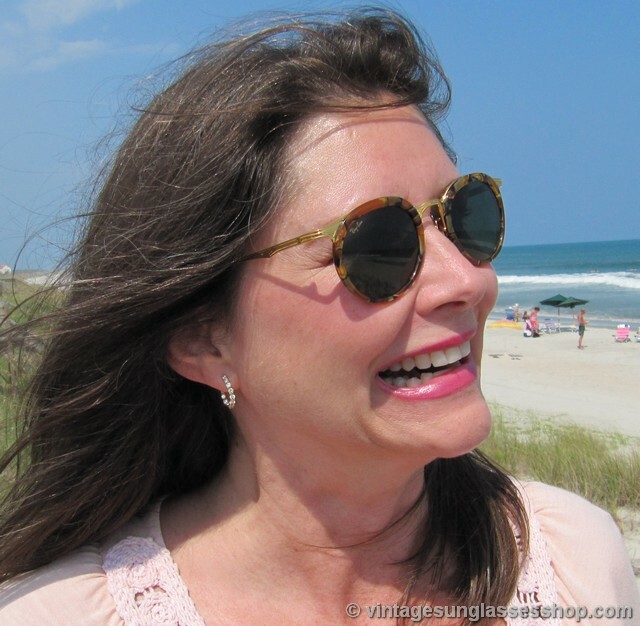 The unisex frame measures approximately 5.25" temple to temple, and each G-15 lens measures approximately 1.875" x 1.375" at the widest points. 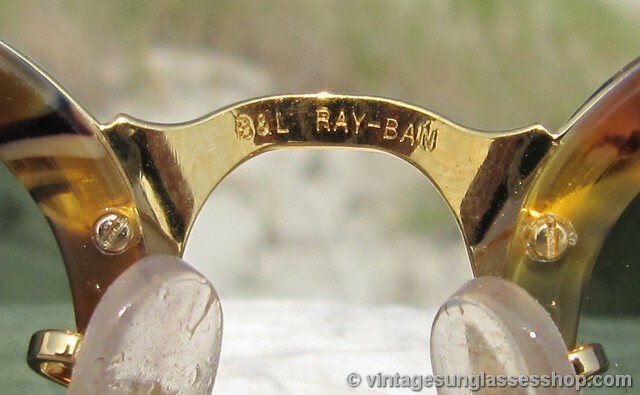 The rear of the nose bridge is marked B&L Ray-Ban impressed in the metal, and they have the original celluloid marked BL nose pads. 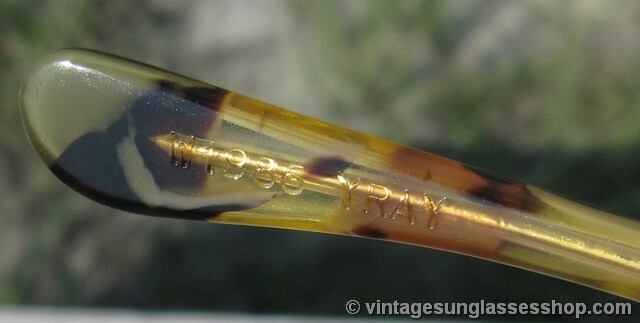 The inside of one ear stem is marked B&L Ray-Ban impressed in the gold plate, and the ear pad of the other stem is marked W1986 YWAY impressed in the pad. 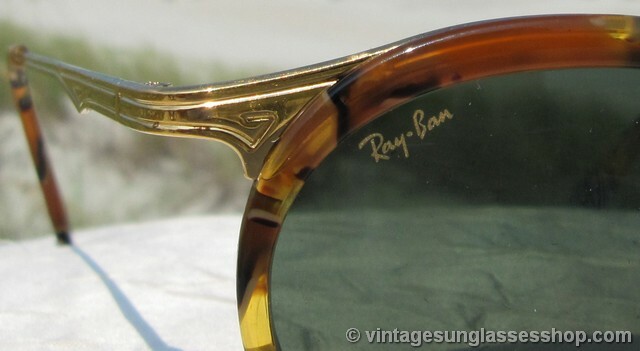 Authentic new old stock mint condition vintage B&L Ray-Ban W1986 Western Round sunglasses with original case, original box, and in many cases original lens stickers and warranty paperwork.